Accidents in Abuja are usually crazy; I don’t know if the good roads have become a curse. Cars now fly in town, from seeing a car fly off Berger Bridge to another one using Apo round-about as the run-way to take off. In all of this chaos be sure to see lots of people who become analysers/sympathisers. On my way out yesterday in a taxi I noticed a cluster of people as well as parked cars, I didn’t need a soothsayer to tell me it was an accident. The strangest thing happened when the driver pulled over to the side and when I said Oga dey go now he said I should come down that the affected driver is his brother. This guy didn’t even think of the money he will lose all he knew was an aboki brother needed help. This got me thinking of my Christian walk, how often have I stopped to help a wounded soldier. For a while now I’ve been questioning some things I’ve observed in our local churches. At some point I thought something was wrong with me but all those lingering thoughts in my heart were justified with a few messages I listened to. During our weekly service on Friday, we basically spent the entire time praying for Nigeria but my heart was really burdened when we were asked to pray for the church. If you are a regular visitor on this blog, you’ll know my stance on the Church; you can read up Audience of One. We were encouraged to look for a message by Pastor Emmanuel Bosun on ‘Exposing the truth of Nigeria’ he sure doesn’t ring a bell. He’s currently a member of the National Confab. Please I beg of you, if you are a Nigerian search for his message on You-Tube. 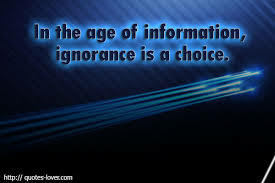 Remember in this age of information, ignorance is a choice. I won’t bore you with the entire message but I need to scream it really loud it’s time we killed the enemy known as division in the Church. We gather every Sunday to pray down Heaven and even rain fire and brimstone on our ‘enemies’. Forgetting the worst enemy to fight is the enemy within. We’re supposed to be known first, as Christians before the names of our Churches rather we’ve put the cart before the horse. We’re all known by our beautiful church names, it’s more of a class thing. If you want pretty ladies go to this church, if you want deliverance or amazing praise and worship then there’s a perfect church for it. While we are playing Church the devil is sowing seeds of discord among the Churches. You can’t marry outside your church or receive the Holy Communion and so on. My brethren I beseech you by the mercies of God let’s get rid of this baby monster growing. I hear Turkey was once a Christian Nation but as I speak it is 99.8% Muslim with 0.2% Christians and Jews. Can’t we see we are no longer practising what the early Christians did, they all shared everything together and I’m sure they shared the hard times too. We need to come together and fight the enemy, Nigeria belongs to the Lord. We are crying cos’ Boko Haram is killing our brothers and sisters but if we don’t wake up soon, we’ll one day realise they’ve taken over Nigeria and someone will have to tell our kids who can’t find any church again that there was a time we had more than one church on a street. For the records, this post is written to everyone who identifies with the Church regardless of your order of service. N/B Aboki – An hausa word for friend . Author JMADPosted on August 28, 2014 Categories ReflectionsTags Abuja, Accident, Boko Haram, Christianity, Church, National Confab, Nigeria, Pastor Emmanuel Bosun, Reigion9 Comments on Are we still playing Church? I have observed over the years, there are certain traditions in families. I have never received a surprise Birthday gift from my dad before cos’ he always asked what I wanted. I often teased him with outrageous gifts but in the midst of all that he ends up giving me a gift . My request last year was a Samsung Galaxy S4. Fast forward July this year; the phone fell from my hand and the screen cracked. I felt a little sad but when I remembered I had a 24 months warranty, some joy broke out on my face. But that joy was shortlived when I went to a Samsung office and was told the phone wasn’t registered. Apparently I was supposed to send a code to a particular number but I didn’t cos I had no idea of it. The bombshell came when I learnt I needed to pay N30,000.00 to change the screen. Yes, the amount can buy another phone but that wasn’t the main issue rather I already had a warranty to replace it without any extra cost but the lack of information robbed me of this service. Isn’t it like our daily walk on earth? 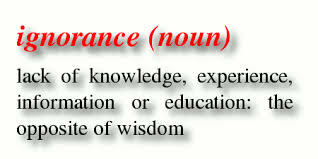 Many of us have missed out lots of opportunities cos’ of ignorance or lack of information. On Friday last week a hasttag #SaltyFriday was generated on twitter after a rumour making the rounds advised everyone to bathe with salt and drink it too all in the name of fighting the Ebola Virus. Story has it that 2 people were confirmed dead and more than a dozen hospitalised. 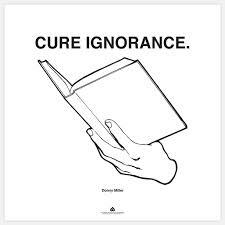 I think if there’s anything we should hate, it is IGNORANCE. I hear some Churches have stopped observing the sign of peace (where they have to shake each other just before the Communion). My heart bled not cos of what was said but we’ve gotten so used to certain things and somehow we have missed out the message. This goes back to information. What exactly is the Holy Communion? Is it just another ritual we observe every Sunday, or a sign we have attained a particular age. Do we really know what it symbolises? We are living in crazy times now and what will set you apart is the information you have. A period came when there were plagues in Egypt but it never came upon the Israelites and even when the spirit of death passed through the land, it never touched anyone who lived in a house with a blood of a lamb on its lintel. How much more the Blood of Jesus we profess to receive at Communion. Bishop T.D. Jakes says ‘whoever you make Lord over your life, be sure you can be healed or saved by that God’ The Church needs a revival, we need to stop playing church. Let us go back to our closest and seek God for ourselves beyond who our Pastors profess. When the devil comes at you and he’ll definitely come cos’ he hates the Children of God, you can’t call on the God of your Pastor. C’mon!!! A fire incidence happened close to my house and the woman kept on calling on the God of our pastor, is she saying she doesn’t know that God. ‘My people are destroyed for lack of knowledge’ Hosea 4:6. In my case ‘My child JMAD lost some money for lack of knowledge’. Question is, what have you lost? We can’t continue like this, they that know their God shall do mighty exploits. Let the Church arise and take her rightful place and I’m not referring to your local church rather you and me. A few days ago I was planning a little gathering with a few friends. One of them who’s a banker was going to be a bit late cos’ he was called up to work during the public holiday, these are his exact words ‘orders from above….they decide and just send me the mail’ and I replied don’t worry soon you’ll be your own boss. I was hoping to hear an Amen from him but he said he doesn’t make too many plans, he takes each day as it comes. This led to a series of back and forth conversation on the path we play as humans even as we make plans for our lives. How do we exercise free-will in a world governed by God? As Christians when we say by God’s grace do we just go to sleep and expect angels to sort our issues out, when someone gives a testimony of how he wanted to marry and had no money and supernaturally the money was available or an active fellowship member in the university who failed to prepare for exams and prays for success. Does Christainity advocate laziness thereby making us solely dependent on God? Let’s go back to the beginning; the earth was without form and God said Let there be light and we know the rest of the story, we know God can do anything in fact nothing is impossible with Him yet He took out time six (6) whole days to create the world. He went further and moulded man….. The God I’m referring to here is a doing God, He didn’t fold His arms. For every time we go down on our knees to ask God for anything the question always pops up what do you have. 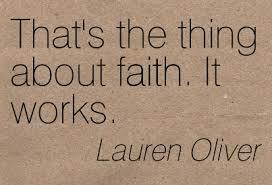 To Moses a stick, the disciples a small boy with 2 fish and 5 loaves, the widow had a jar of oil. Let’s go further the woman who had the issue of blood for 12 years made a move of faith and touched the hem of Jesus’ garment she could have prayed for healing and sat down at home or the Centurion who went out to look for help for his daughter. A popular verse we like to quote gave me a new insight ‘I can do all things through Christ who strengthens me’ Phil 4:13. Did you notice the word DO not pray, believe or have faith besides ‘Faith without works is dead, show me your faith without works and i will show you my faith with my works’ James 2:17-18. For those who think Christianity is a license to be lazy and pray down heaven, here’s a word for you ‘Yet a little sleep, a little slumber, a little folding of the hands to sleep, so shall your poverty come as a robber, and your want as an armed man’ Prov 24:33-34. With the testimonies we hear one may be tempted to relax and expect a breakthrough without doing anything, you want to get married that’s good, but have you started planning towards it ‘For which of you, wishing to build a farm building, does not sit down and calculate the cost to see whether he has sufficient means to finish it’ Luke 14:28 Guess what even if you’ve analysed what you have and you can’t complete the task the faith you have comes in, remember you already have something (works) and your faith too which completes the cycle. Don’t get me wrong; prayer to me has become a lifestyle but it doesn’t stop there. Some of us may be asking are their works/plans in line with God’s will? Here’s the answer ‘Roll your works upon the Lord (commit and trust them wholly to Him; He will cause your thoughts to become agreeable to His will) so shall your plans be established and succeed’ Prov 16:3 AMP. I’m hoping many of us will wake up from our beds to get busy, God has been waiting on us to multiply the talents He has deposited within us, have you buried yours?